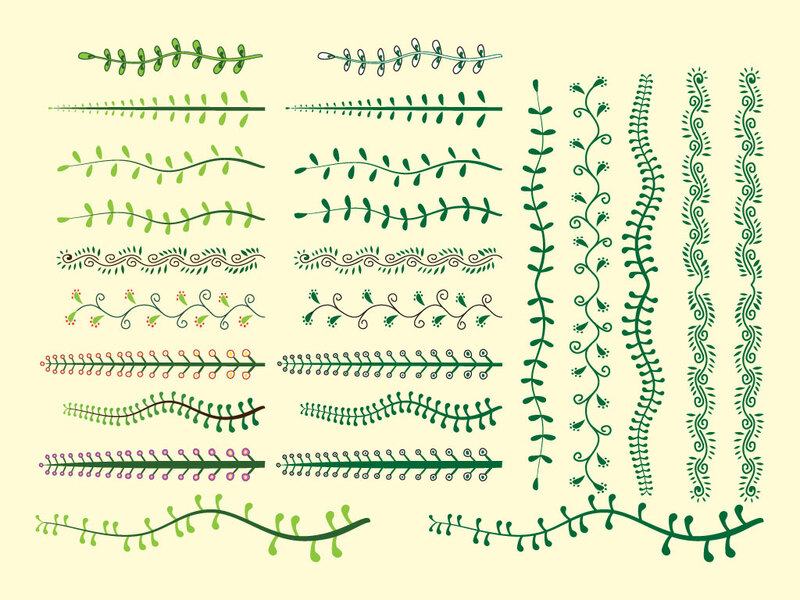 Twenty five different plant and vine elements to choose from in this cool vector pack. Great decorative graphics for greeting cards, floral designs, garden projects, invitations or making custom art brushes. Download as AI and PDF for your design needs. Tags: Agriculture, Brush, Decorative, Floral, Garden, Leaf, Nature, Plant.